Two Special Cars and 40 Automobiles Will Convey Guests to View Proposed Improvements. 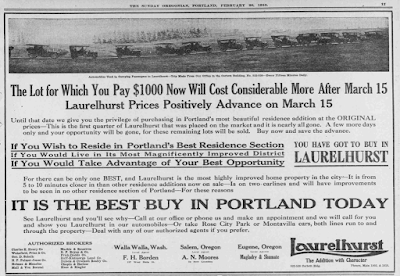 In two special streetcars and from 23 to 40 automobiles loaded chockfull and overflowing with jolly real estate men and their guests, the Portland Realty Board will celebrate its second big “get acquainted" excursion of the season this afternoon with a trip to Laurelhurst. Promptly at 2:30 o'clock the two special cars which have been chartered for the occasion by the excursion committee of the board will leave the spur switch at Fourth and Yamhill streets for the new suburb. Anybody can go on the cars who can find room, and each car will seat 60 persons comfortably. Tho Realty Board has announced it is making this excursion for the benefit of the public as much as anything else, and everybody who cares to go along will be genuinely welcomed. It will not cost a cent for carfare either. The committee has attended to all that. In addition to these electric cars, 25 automobiles have already been placed at the service of the real estate men, and there may be 40 of them by this afternoon. The members of the board will ride to Laurelhurst in these autos in regular parade formation. 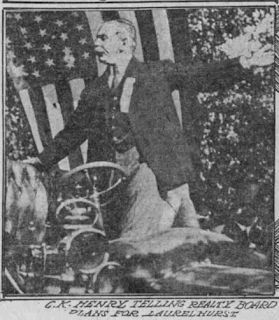 At Laurelhurst they will be received by a special reception committee, headed by James B. Meikle as master of ceremonies, and Frank F. Mead. 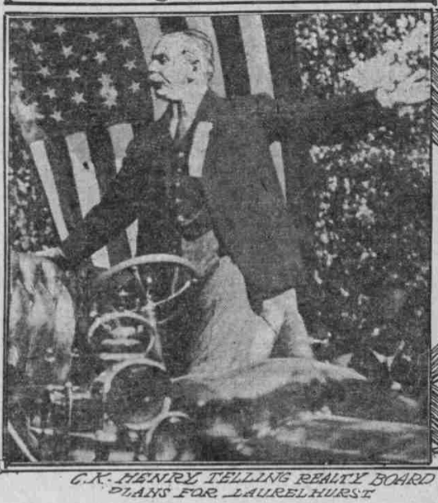 vice- president of the Laurelhurst Company. Then will follow an informal programme. The visitors will be taken all over the tract, which was formerly known as the Ladd Farm, and shown the various improvements that have been made and are contemplated. Then Tom Richardson, of the Commercial Club, will start things with a few words, and following him Charles K. Henry will speak. James B. Meikle, who was formerly secretary or the Seattle Chamber of Commerce, will make a short address on "Portland and Its Possibilities." 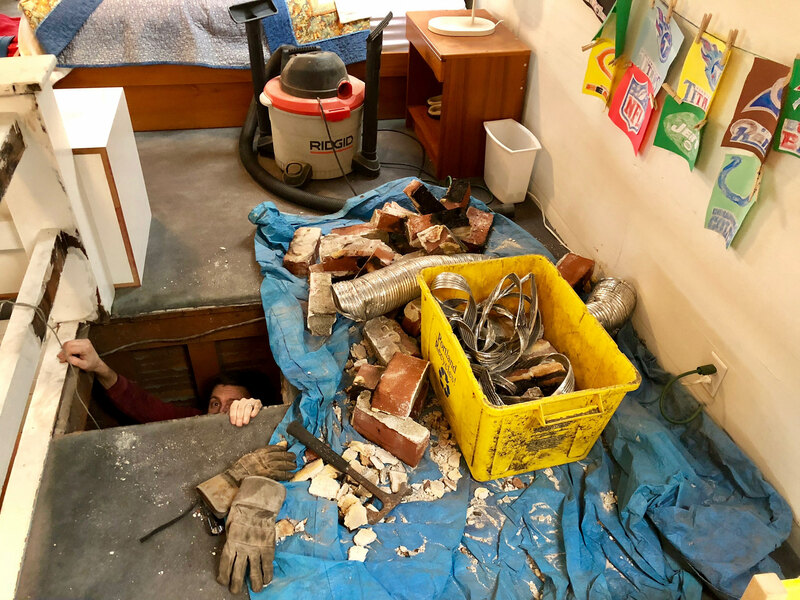 Following this, ground for the new improvements, including sewers, water mains and paved streets, which have been planned on a vast scale for the Laurelhurst tract, will be formally broken. Then refreshments will be served to the visitors, and the Hawaiian Orchestra and singing troupe of the Hotel Oregon, loaned for the occasion by Manager Dickinson, will furnish music. Following is the excursion committee of the Realty Board. 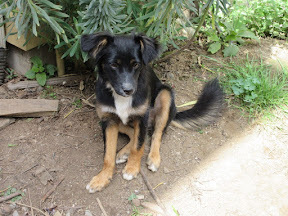 Which has arranged the details of the excursion: George P. Dekum, chairman: George H. Schalk, W.H. Mall, H.P. 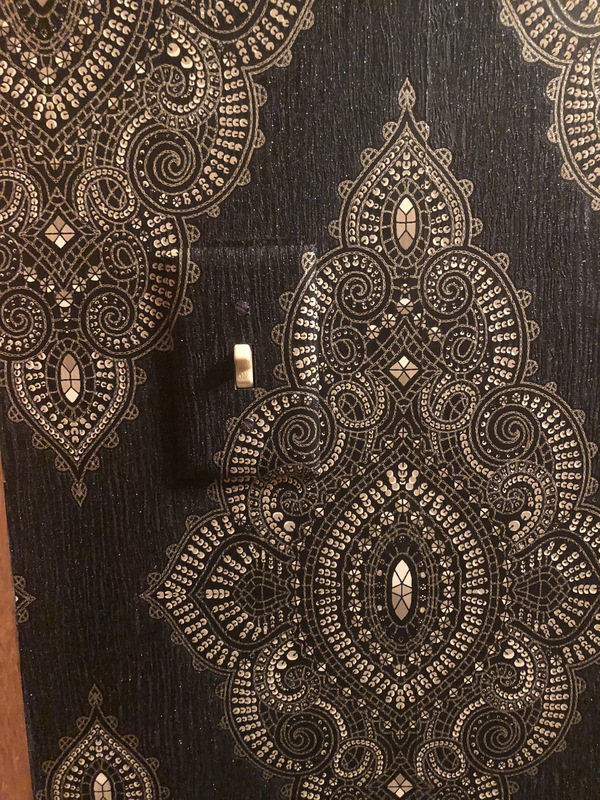 Palmer, A.P. Slauson, James B. Meikle, J. O. Roundtree and Henry W. Fries. The committee has prepared several hundred handsome silk badges, which will be distributed as souvenirs of the occasion. The Portland Realty Board invaded Laurelhurst yesterday afternoon, in special streetcars, automobiles, private vehicles, on foot and every other way, more than 300 members of the Board and their friends poured by every avenue of entrance into the fine, new residence tract that has just been laid out, where the old Ladd Farm used to be. 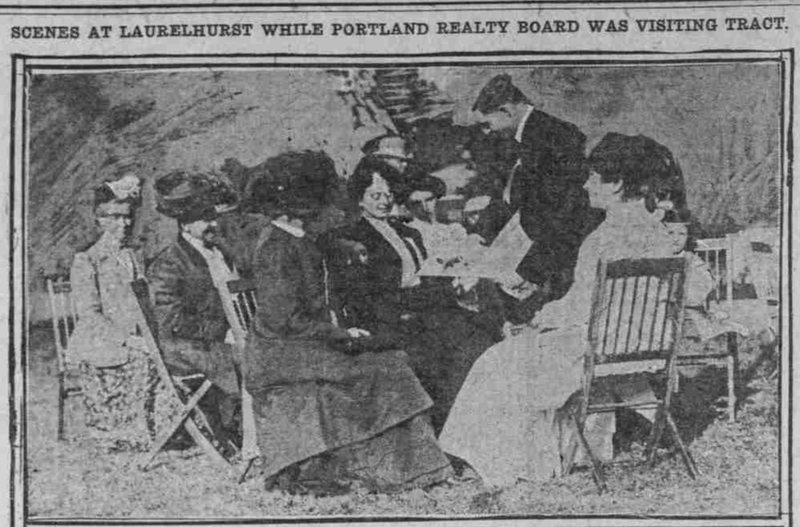 The occasion was the second of the realty board's "get acquainted" excursions of the season, and the formal opening of the Laurelhurst tract. The excursion was a rare success and so was the opening. Promptly at 2:30 o'clock yesterday afternoon the two special cars chartered for the excursion by the real estate men, and about 25 automobiles all so full of enthusiastic real estate men and excursionists that not another person could have been jammed into them under any circumstances, left Fourth and Yamhill streets on their way to the new addition. They reached Laurelhurst in a jiffy. There they were met by a special reception committee, composed of Frank F. Mead, James B. Meikle, Charles K. Henry, and others, and shown around the place. "Laurelhurst speaks for itself. I am impressed more and more with the splendid judgment of the elder Ladd in selecting such an ideal location for a farm in the pioneer days. I am sure nothing would please him better than to learn that at last it will become an integral part of this beautiful city. There are 460 acres here, and all platted to conform to the contour of the ground. There is also a part of 31 acres, just purchased by the city, in which is a natural lake. The park was sold to the city on condition that it should be placed in shape at once, and maintained on a par with the other parks of Portland." "It has been my business to make a careful study and investigation of property values and rentals in American and Canadian cities from Vancouver, B.C. to San Diego and from Seattle to New York, and I have found that in proportion to its population and commercial importance values in Portland are lower than in any other city on the Pacific Coast, or in the Northern states. But the great state of Oregon is coming into her own, and the result will be an unparalleled growth and development. "I predict that with the development now going on, and which will continue, the population of the Northwest states will increase to eight or ten millions in the present generation, and that at least one-eighth of that population will reside in Portland, making it a city of more than a million souls. 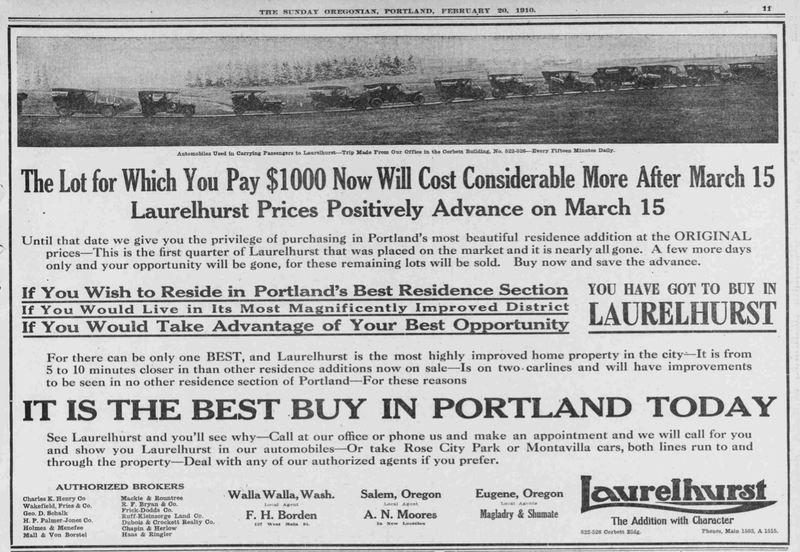 It is upon such facts as these that I found my faith in the future of Portland and in the future of Laurelhurst." After the conclusion of the programme, the Hawaiian Orchestra, loaned for the afternoon by Manager Dickenson, of the Hotel Oregon, gave several selections that pleased the crowd, the refreshments were served. Next Saturday the Portland Realty Board will make its third "get acquainted" excursion to the new drydock of the Willamette Iron Works at the foot of 16th Street. While they are there, a practical demonstration of the capabilities of the drydock will be made for their benefit. 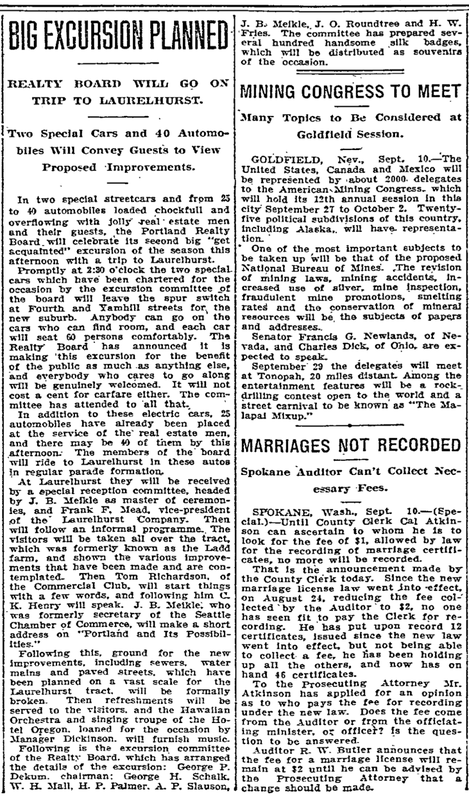 On the following Saturday, the board will assist in the entertainment of President Taft, who will then be a Portland visitor.